Legal Tests for Changing Visitation Time with Children in Tennessee Law. Whether we discuss modification of the primary residential parent role or modification of the children’s schedule between the parents’ households, we are discussing whether a material change of circumstances has occurred that makes it in the best interests of the children to change the existing parenting plan. There are two primary questions: (1) whether there was a “material change in circumstances;” and, (2) whether that material change makes it in the “best interests of the children” to modify the existing parenting plan. The first question gets broken down into three sub-parts: (1a) whether the change occurred after the entry of the current order; (1b) whether the change was not known or reasonably anticipated at the time the current order was entered; and, (1c) whether the change is one that affects the children’s well-being in a meaningful way. If the answer to any one of these three sub-parts is no, the analysis does not advance and the petition is dismissed. 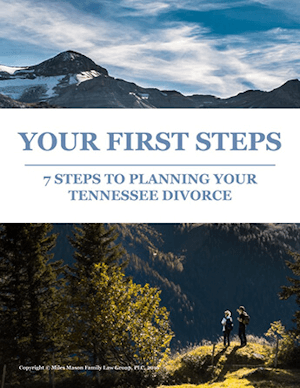 If a court case reaches the second question, Tennessee law provides a 10-point listing of the factors a judge should consider in determining the “best interests” of the children. This legal analysis is identical to the standards used by judges to determine a request for a change of the visitation or alternate residence schedule, as well as a modification of primary residential parent designation. However, there can be a significant difference in how these standards are applied, as a change to the children’s visitation schedule requires less significant events to persuade the court that a change of visitation would be appropriate. In Tennessee law, the legal terms “parenting time” and “residential time” have technically replaced “visitation time,” but since most people still use that term, it is used here. Under prior law, only the non-custodial parent had visitation, but parenting and residential time describes time with children for both parents. The case Armbrister vs. Armbrister, No. 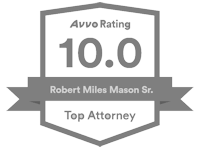 E2012-00018-COA-R3-CV (Tenn. Ct. App. 2012) speaks to this very issue of the difference in application of the modification standard between modification of custody and modification of the residency schedule is pending before the Tennessee Supreme Court as of February 2013. The appellate decision awaiting review by the high court specifically goes to the weight to be afforded proof that the father has married the woman he was dating at the time of the divorce, moved, and has more Fridays off work. The father’s petition was for a change of primary residential parent, which was not granted by the trial court, which then did, on its own initiative, modify the father’s parenting time from 85 days to 143 days. The Court of Appeals decision narrowly read the father’s petition for change of primary residential parent, agreed with the trial court that he had not met that burden, and reversed the increase in his parenting time with the children plus dismissed his petition. 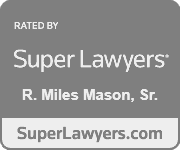 The Armbrister decision sets the stage for examination by the highest court of Tennessee on whether a court can modify a parenting plan schedule in a case where the test for modification of primary residential parent has failed to be established. Since 2004, Tennessee has had a statute with examples of a “material change of circumstances” written into it. 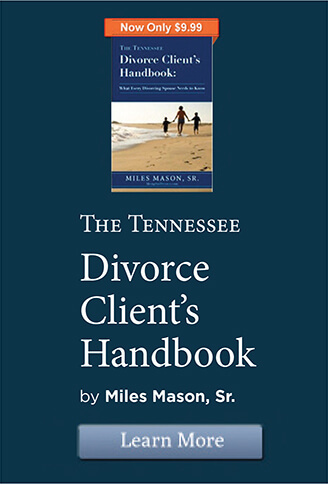 The statute sets out the following examples: “…significant changes in the needs of the child over time, which may include changes relating to age; significant changes in a parent’s living or working condition that significantly affect parenting; failure to adhere to a parenting plan…” See Tenn. Code Ann. §36-6-101(a)(2)(C). Tennessee courts have also discussed certain examples. A common circumstance is a parent’s remarriage, following divorce. In at least one case, the Court of Appeals found that if remarriage is the only event, it does not constitute a “material change of circumstance” unless the new spouse “changes the home environment of the child.” In the case of Riddick vs. Riddick, 497 S.W.2d 740 (Tenn. Ct. App. 1973), the appellate court described this as “…the character, attitude and general personality of other persons who would be in a position to influence the children” as important for the court to consider. The court also encouraged new spouses to testify in court, including their willingness for children to be in the home, occupation, finances, and other step-parenting considerations. Another common scenario relating to modification of the children’s residential schedule is what happens when parents voluntarily change the schedule over time. It can happen for any number of reasons, including, but not limited to, a child’s involvement in extra-curricular activities, a child’s medical or academic needs, a change in a parent’s work schedule, and an evolving relationship between a child and the alternate residential parent, particularly between sons and fathers during teenage years. Over time, parents may change their day-to-day schedules, often deviating significantly from the written parenting plan. Until and unless the new schedule is written down, signed by both parents, and approved by a judge, the actual terms between the parents are only those written in the current court order. At any time, one parent or the other can pull out the signed order and insist upon a return to the very schedule written in the order. The question arises whether to go with the flow of a working co-parental relationship or to seek a modified parenting plan with judicial approval. One middle approach worth mentioning is that of mediation. For parents with an evolving parenting schedule, it may be beneficial for the alternative residential parent, in particular, to explore changing the parenting plan and have it entered as an order. Especially when children are becoming teenagers (they are increasingly aware of inter-parent communication and strife), this can provide more stability having a set schedule. Another consideration on whether to memorialize informal changes being made to the children’s schedule is the impact upon child support. The increased time an alternate residential parent spends with the children beyond the existing schedule can result in a reduction in the child support owed to the primary residential parent. The reduction of child support argument can also play out when the primary residential parent uses the other in a daycare fashion three or more days per week. This may not have been the original parenting schedule, but can easily arise when one parent is working standard hours and the other is not, whether due to shift work, unemployment, or medical leave. In one case, Lowery vs. Womble, No. M2010-01102-COA-R3-CV (Tenn. Ct. App. 2011), the trial court heard conflicting testimony from the father, who testified the children arrived 6:30 a.m. each school day and were picked up at 8:00 p.m. by the mother, and the mother, who testified she dropped off the children at 7 a.m. and picked them up at 4 p.m. Quite literally, the trial judge conducted a confidential interview of the children in his office to resolve credibility in favor of the father. In the end, it may be that the analysis of whether to seek to create a written modification of a parenting plan comes down to the level of admissible evidence to establish precisely what schedule has been adopted by the parents and the children. The case of Pace vs. Pace, No. M2009-01037-COA-R3-CV (Tenn. Ct. App. 2010) is an instructive decision, particularly as the court expressed its own frustration with the lack of accurate records by either parent as to what was going on in the exchanges of the children. As with the hours one keeps on a timesheet in order to get paid, a thoughtful presentation of a request to modify a parenting schedule calls for calendar documentation of the actual hours the children are spending with the alternate residential parent, down to the hour of pick-up and drop-off. Maintaining such a calendar also allows parents, their lawyers, and even mediators to thoroughly evaluate the schedule being followed, the difference from the original parenting plan, and the duration of the new schedule. It will also put a parent farther along the path of demonstrating the material change in circumstances that would warrant a modification of the current parenting order as being in the children’s best interests. For more information, see Visitation, Residential Time & Parenting Time in Tennessee Divorce Law and for analysis, updates, and case summaries see the Custody Modification category of the MemphisDivorce.com Tennessee Family Law Blog.